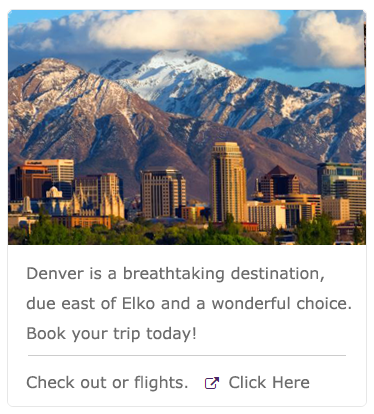 The Elko Regional Airport has two scheduled flights per day to Salt Lake City, Utah. The flights are timed to provide maximum connection opportunities on other flights in Salt Lake City. All flights out of Elko Regional Airport are Delta Air Lines operated by Sky West Airlines. * Departure times are subject to change. 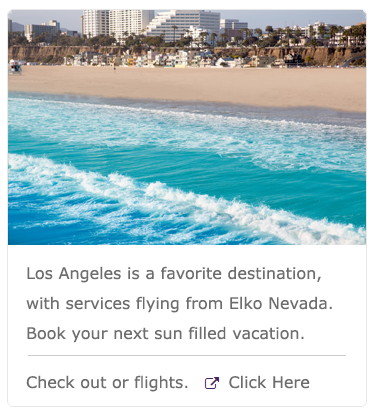 For the most up-to-date Elko Departures, Click Here or the blue button below. Questions related to SkyWest flights, current or future flight schedules, etc. should be referred to SkyWest Corporate Communications at 1-435-634-3553 or corporate.communications@skywest.com. Arrival and Departure times change seasonally. While we do our best to keep our website updated, Check the Delta Flight Schedules for the most up-to-date information. 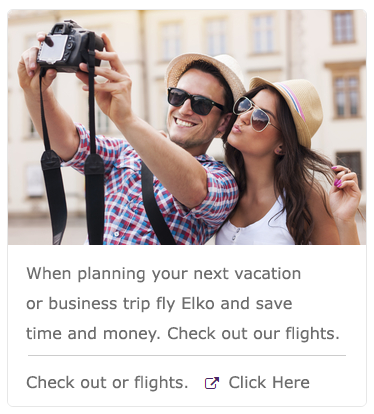 Track Elko Regional Airport Flights - Click Here!